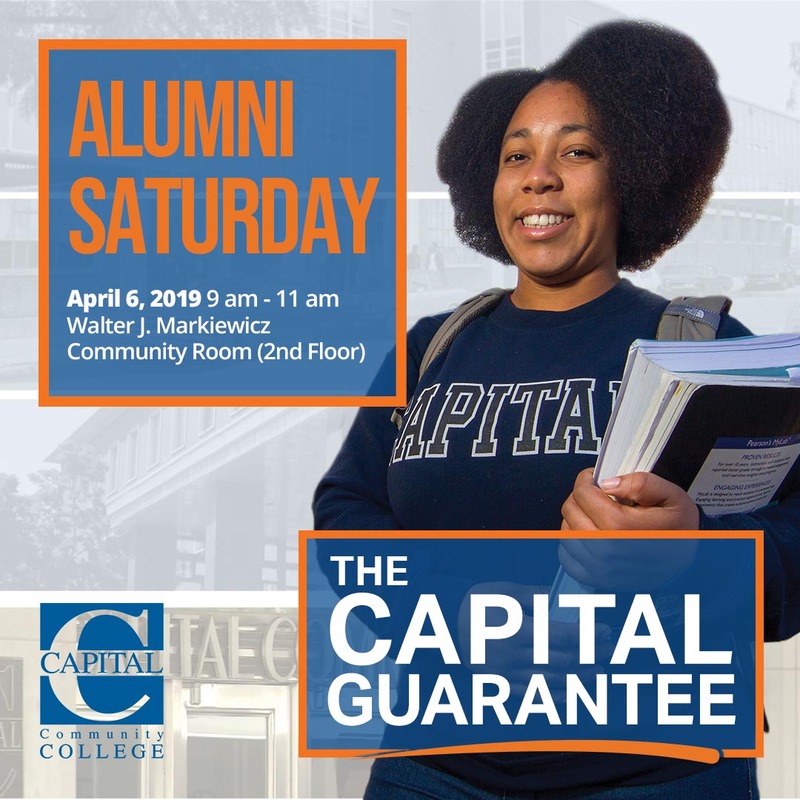 Alumni of Capital Community College (Greater Hartford Community College and Hartford State Technical College included) are invited to an alumni networking event at the College’s 950 Main Street campus in downtown Hartford on Saturday, April 6th from 9 to 11 a.m. The event will be an opportunity for graduates and former students who began college studies at Capital to reconnect to Hartford’s two-year undergraduate institution and is hosted by the College’s Advancement office and Foundation. Capital CEO G. Duncan Harris will welcome attendees and discuss a new Center for Career Development that consolidates the Career Planning and Placement Office and the School of Workforce and Continuing Education. This entry was posted in Alumni, Announcements and tagged #DestinationCapital, alumni, Alumni Association, capital community college. Bookmark the permalink.